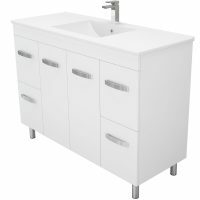 The Maddison Vanity is a versatile, practical and durable solution for your bathroom storage needs. 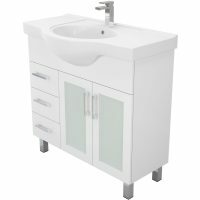 Featuring a simple, yet elegant design, this bathroom vanity is available in three size options to suit bathrooms of all sizes. The Maddison Vanity features a quartz stone benchtop, a vitreous china basin and a classic white gloss finish. It is available in three size options, 1200x470x945mm, 1500x470x945mm and 1800x470x945mm. The smallest vanity features a single bowl while the larger vanities each feature double bowls. Each is equipped with 4 doors and 3 drawers, all featuring a soft closing mechanism. 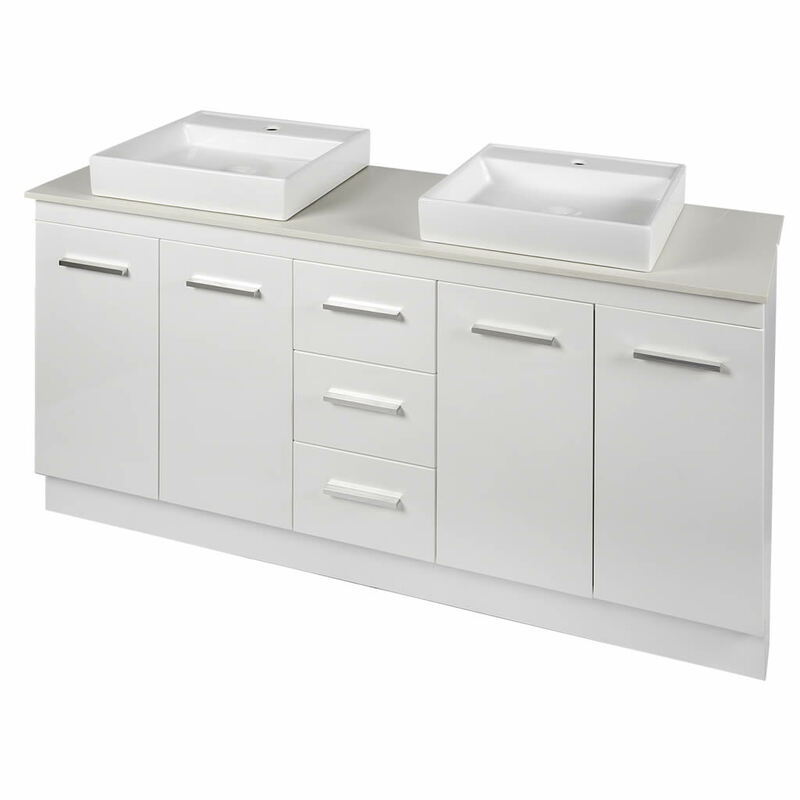 The Maddison Vanity is manufactured to the highest standards of quality with HMR board. 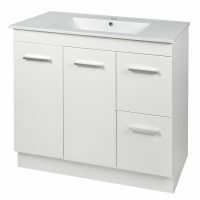 Featuring a polyurethane finish and a solid backboard, this vanity is incredibly robust and durable. It is also moisture resistant and is therefore designed to last many years. This vanity cabinet is an excellent addition to your home. 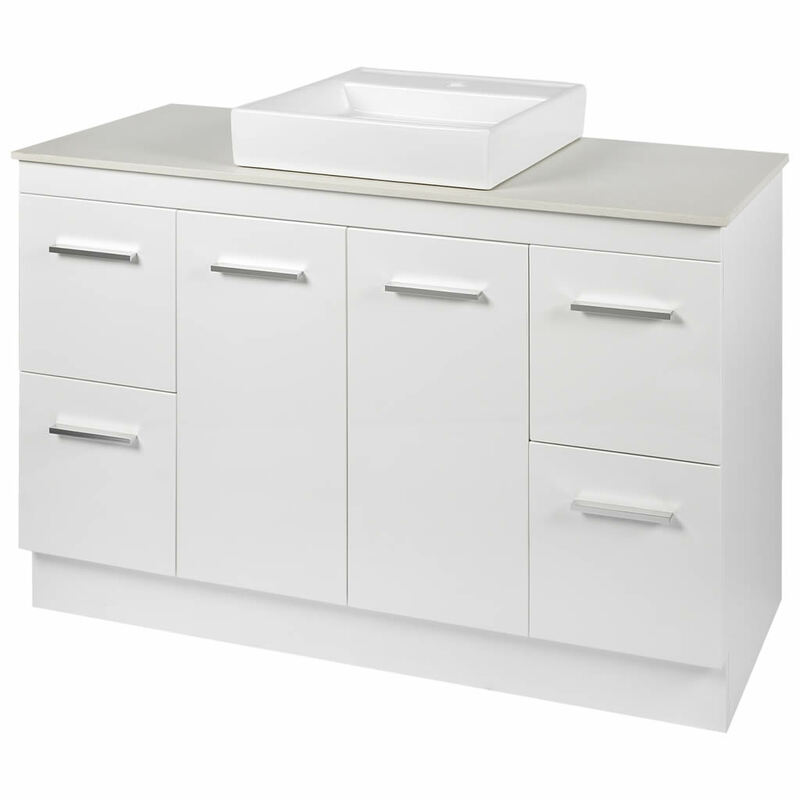 Add a touch of ambiance to your bathroom with the Maddison Vanity cabinet. This product is currently available at Ross’s Discount Home Centre at an incredibly affordable price. 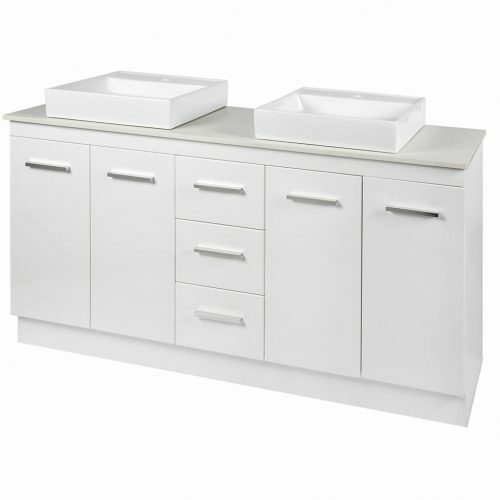 There’s really no reason to delay – get a hold of this elegant bathroom vanity while the stocks last! Please note: sizes are approximate. Please measure before installing.